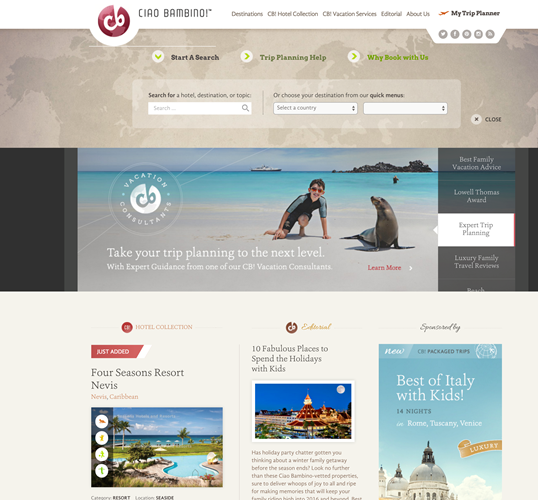 Ciao Bambino is an award-winning Family Travel resource. We pair exceptional self-service content with an experienced Family Vacation planning team who develop bespoke, age-appropriate itineraries crafted exclusively for families. Because Ciao Bambino is a travel agency and a publisher with a significant following, our guidance and advice is fresh, relevant, and reliable. Our focus is luxury Family Travel and our team has incredible, invaluable insights and recommendations to share with our clients.